Serious riders who strive to better their skills and their bikes need to join the 100% subscriber-supported community of Motorcycle Consumer News. MCN brings you real-world advice to enjoy a safer ride from top professionals with a passion for motorcycling. Fascinating features every month will help you improve your physical and mental strength on the road, buy the right gear with side-by-side product comparisons, choose the right ride for you with in-depth model evaluations and stats, and tune up your bike for the next time you hit the street or the dirt. 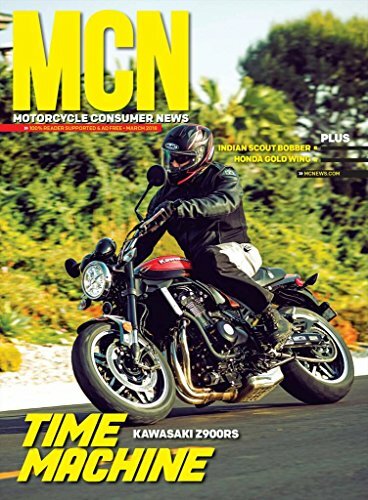 No matter how long you’ve been riding, you’ll love reading MCN cover to cover. Plus, you can rest assured that you are reading the most unbiased, honest reviews since MCN accepts no advertising.